Could The Rebranding Of Podcasts Signal The End of iTunes? Let’s be honest, iTunes already feels incredibly dated and probably represents a part of our digital past that we would happily forget. Many will consider the clunky and bloated app represented everything that was wrong with the old way of doing things. Nobody wants to plug a phone into a computer to restore it from a backup in 2017. The Apple Worldwide Developers Conference (WWDC) 2017 takes place June 5-9 in San Jose, California. Predictably rumors are already going into overdrive. But there is an increasing belief that Apple is planning to announce a dramatic overhaul of iTunes or continue with the dropping the “i” labeling and remove it completely. Our love of streaming of music rather than buying digital tracks paved the way for Apple Music. But could Apple continue this theme and migrate other services away from iTunes and into dedicated applications? The small change was announced with minimal fuss via a couple of tweets by the head of marketing at Apple Podcasts. There is a growing number of people that have grown tired of listening to the same music playlist or top 20 hits. Many have enjoyed an epiphany of sorts where they can use those wasted hours to learn new skills motivate themselves through audio podcasts. Podcasts are increasingly accompanying busy professionals during the long commute to the office, walking the dog, working out at the gym, cooking a meal or even exercising. There is a realization that podcasts have the power to inspire, encourage, motivate while also providing tips and advice during the most mundane moments in our lives. 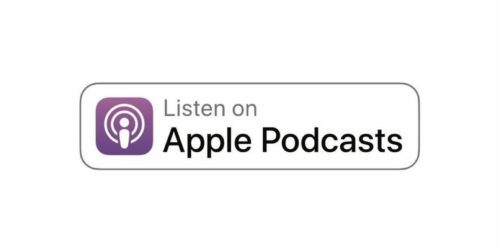 Despite the podcast medium evolving over the years, Apple’s ecosystem once again feels clumsy and does not offer the greatest experience for both users and publishers. The absence of any form of stats for a podcast host is an excellent example of how the platform has been neglected. Critics will point out that Apple is worryingly being caught behind the curve again rather than ahead of it. In the same way, they were late to the music streaming game, they have failed to help a rapidly growing community evolve or simplify it for newbies. Our digital world now allows anyone with a phone in their pocket to broadcast video live to a global audience. However, wannabe podcasters are expected to understand the difference between a myriad of hosting providers and plans not to mention the cumbersome process of actually getting your work onto iTunes. Even if you are successful, Apple currently provides no data about how successful your podcast is. But, all eyes will be on what will be announced at the WWDC in June. The introduction of a hosting package, for example, could be a huge game changer for the entire podcasting industry. Something clearly has to change, and iTunes is losing its relevance in a digital age. Its name alone merely conjures up images of frustration to many digital natives. Although we don’t know for sure if there is still a future for the much-maligned app, it seems that breaking their offerings into separate apps for music, video, podcasts and news is the most obvious step forward. The separation of the Podcasts app from the legacy of iTunes is a small yet very significant move. It could also reveal a hint about the future of the media management software and an indication that Apple is about to get serious about their presence in the podcasting space. Would you like to see an overhaul of the iTunes brand or do you think it’s time for it to be retired?